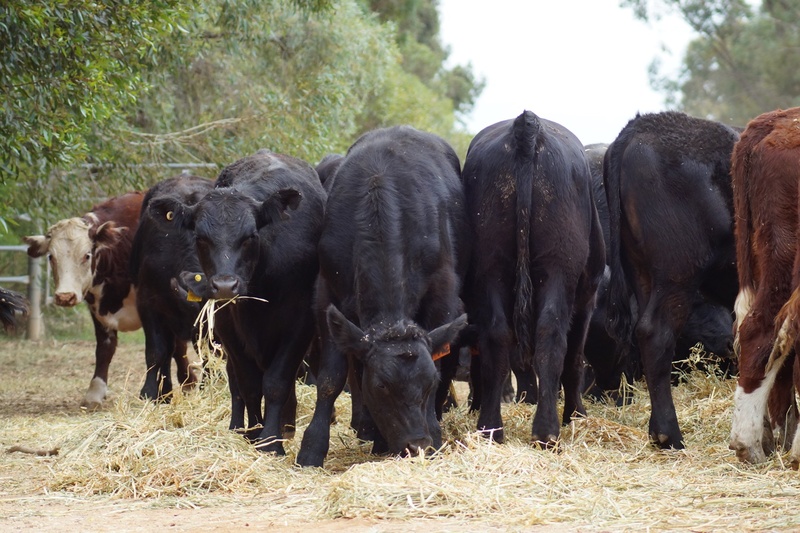 Good looking black Angus and Hereford heifers. or did the rain completely miss your area? We haven't had any rain for a couple of months, but then that is usual for our summer... hot & dry. No not really, other than that they were available and the right price. These are all weaner steers that we hope to fatten over the next few months. Steaks! Naaaa--- everyone knows meat comes from plastic packaging in a store. Fun shot. Lovely. And they have such beautiful eyes. How great that you have additions! The dairy farms over here in NZ aren't doing so well at the moment and selling off stock; but I have to believe it will get better soon.